Spent the last couple of weeks doing writing workshops with the good people of Tredegar Youth Café. 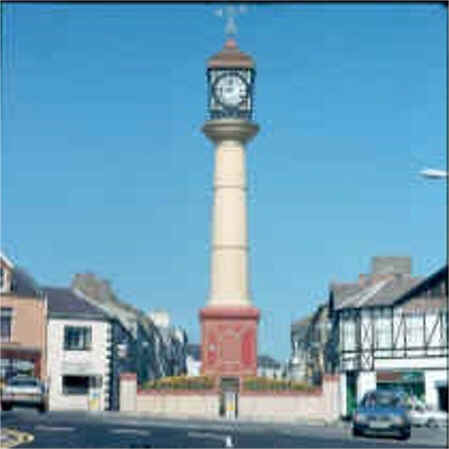 I didn’t know Tredegar well before and was directed to the café with the instruction that it “lies in the shadow of the town clock and everyone knows the town clock”. I’m not surprised either. It’s pretty impressive. Built during 1858/9, theironclocktower is a symbolic reminder that it was the iron industry which led to the town’s growth during the 19th Century. It stands in what was then called Market Square, now known as The Circle, and cost £1,000. The money was raised by a bazaar and with a donation from the manager of the Tredegar Ironworks. Dozens of men were sent from the iron works to help erect the 72ft tower and the job took 16 weeks. Writing on the tower celebrates the ironwork industrialists and “Wellington, England’s Hero”. There must have been many more pressing things for £1,000 to have been spent on in 1858/9 than the iron bosses’ egos. Nearby Bedwellty Workhouse, for instance, was ‘home’ to something like 300 of the town’s desperately poor. But the town clock has remained a focus as the town around it has changed, and I suppose the people have won it back for themselves. At the end of the Second World War (and the blackout), residents lit it up with hundreds of lamps.